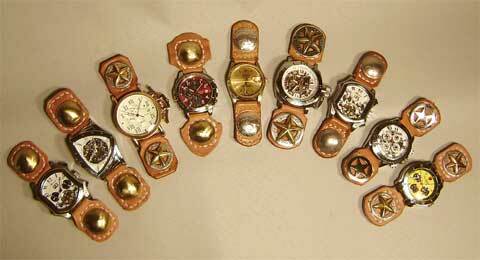 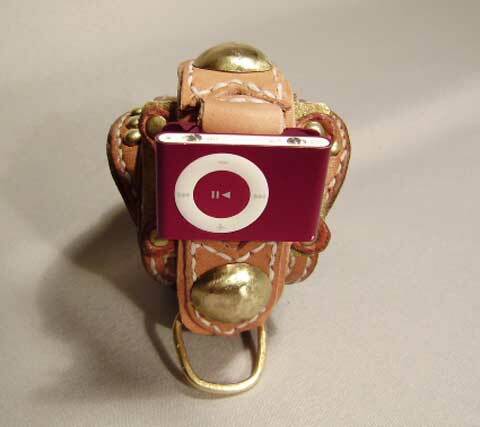 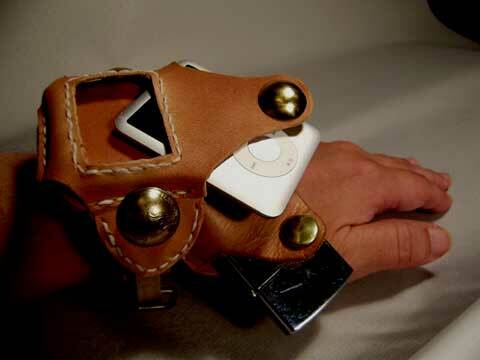 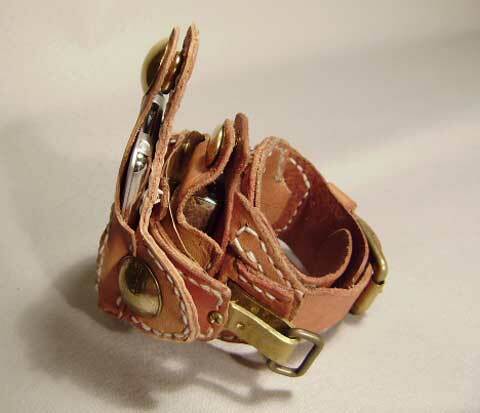 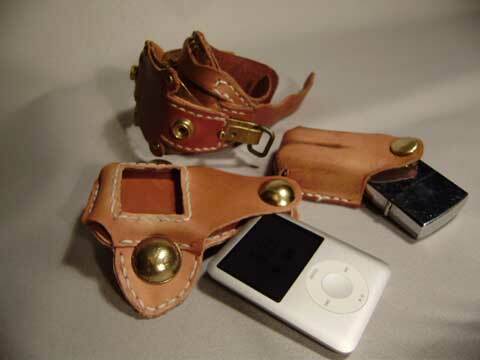 The wristband of leather for iPod shuffle. 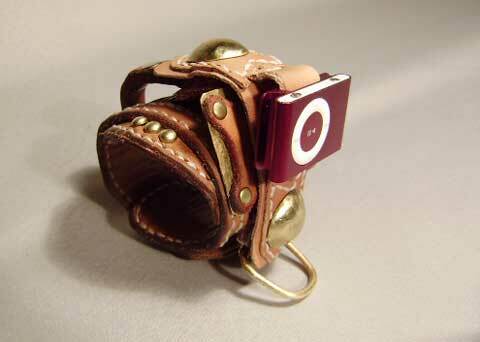 The iPod case for using it as the watch. 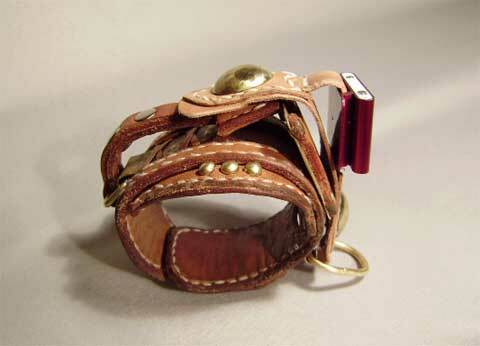 And, it has another case for Zippo lighter. 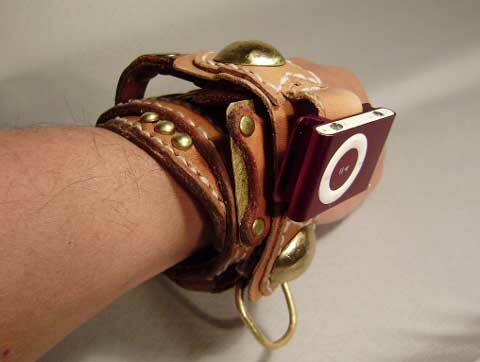 iPod for the upper, and Zippo for the lower. 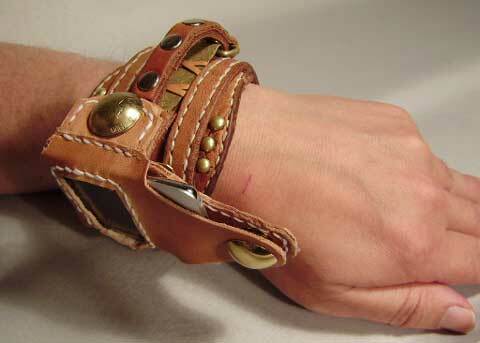 The frame made of brass.